Ok lnh bah kung ginger powder ang gamitin? Sikwate sis is chocolate? Looks delicious that Puto maya. It's been a while since I baked my puto. The last time was like February last year pa.
Its been while na pala Sis. Sikwate is term used when tableya mixed with water and turn into this delicious chocolate drink. some called it just tableya.:)Thanks! Can we still make puto maya without the ginger? I would prefer that with mango and sikwate. Ay, this is my father's favorite breakfast! As in he would really send our maid to look for putomaya when he craves for it. Of course, we have our regular stock of tablea para kumpletos rekados! I can have the chocolate anytime....not just merienda. 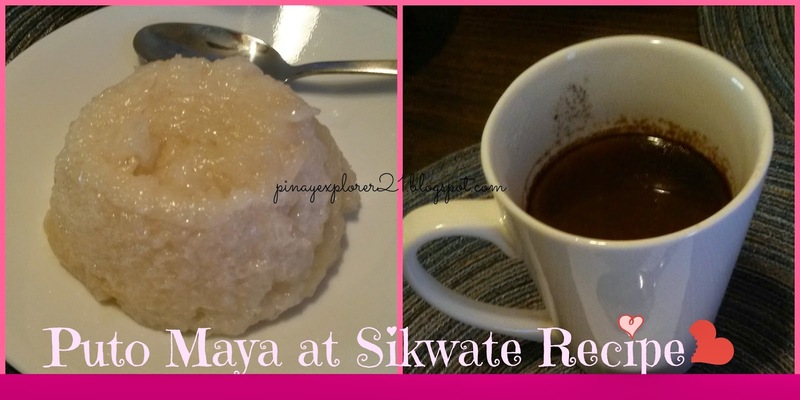 Puto maya and sikwate make a good pair. Same pa din naman. I just get used to called it Sikwate:) Thanks! 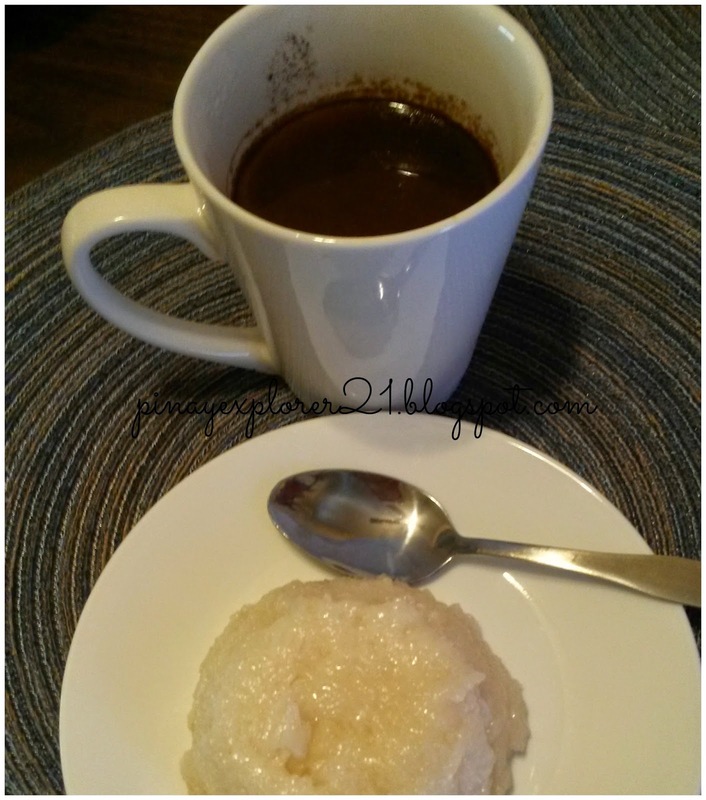 My mom talks about puto maya with tsokolate often, but I had no idea what it was til now. Looks really yummy! Ang galing mo talaga, sis! puwede kaya na wala ng asukal yung tableya or magiging mapait naman??? :) nakakagutom to! <3 sarap. try ko to sa fiance ko. I remember when I was little, pinapapak ko yung tablea, haha! and yes, i agree with everyone, mukang masarap nga yung puto maya! It's my late grandma who used to make us puto maya, but at that time I didn't know the other name for it is puto maya as we just called it with the local term "timan". We didn't pair it with tableya, though. My maternal grandpa naman used to make us sikwate when he was still able and we have some relatives who make tableya in Dumaguete City as their family business. We had a bounty of tableya supply before kasi we delivered them the cacao fruits of my grandparents. Sarap naman balikan nung mga time na yun.....:( Actually, I feel a little sad kasi these foods remind me of memories when I was younger and some of the people I love where still here. I never thought this post could bring burrowed memories of my past. Naiyak naman ako sis, but thank you for doing this post. I also like tableya and puto maya though I did not really know that puto maya is puto maya. I prepare tableya at home on some Sundays and my 2 sons like it very much. Other called it just puto but in my place we called it puto maya:) Thanks! The puto looks delicious and the pairing is perfect! I used to buy puto maya because it is one of my favorite merienda when I was a kid. Kakamiss! 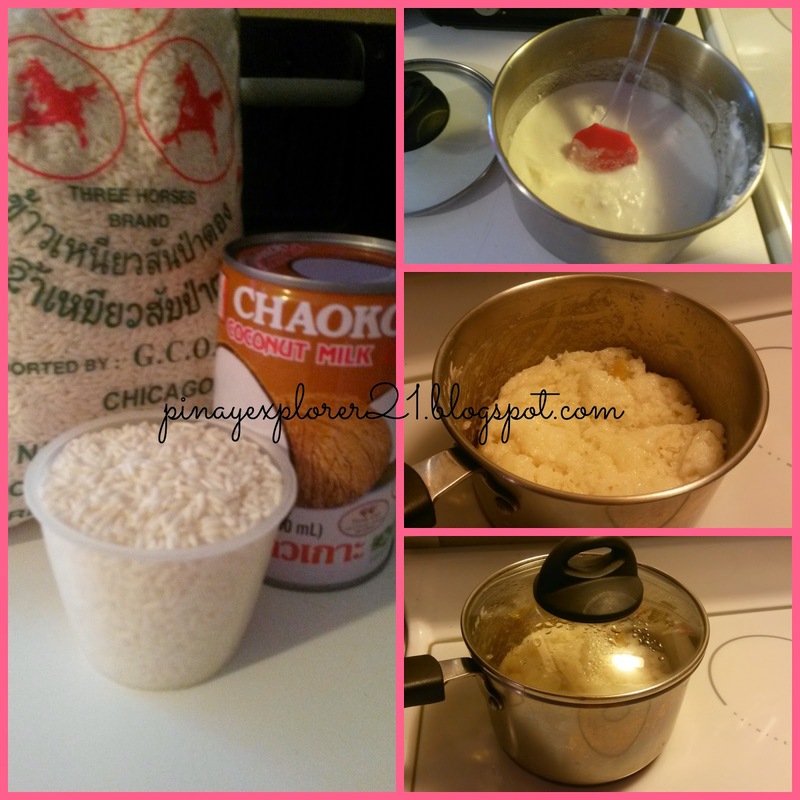 This looks like a wonderful delicacy and a delicious dish to make for special occasion. I's love to try it. Recalling back when we were living in Cebu in the 80's and towards the 90's, I always make it a point to eat puto maya with sikwate in Taboan market every morning during my palengke chore. The pair of puto maya and sikwate gave me a different kind of 'high', seems like my comfort food then. Now that I am based in Manila for quite sometime now, seldom did I relished the same vibe years back in Cebu, else, I have to order them in an expensive restaurant. I can still get the same flavour though sans the affordable price. How I wished to be back again in Taboan market in Cebu plus the karitela ride going there for a dose of these comfort food I grew up with.